Nationally Recognized as a Provider of Driver Helpful, Motor Carrier Trusted DOT Physical Exams! Get Your next $60 DOT Physical Exam and great service at our convenient clinic located on 500 South Illinois St. in Millstadt. We are only 15 minutes from St. Louis and less than 10 minutes from many metro Illinois cities. We cover St. Clair and Monroe counties in Illinois. Our prices our the lowest around! Need your CDL Physical Exam Today? We know your time is valuable! We offer quick, professional, and same day appointments, just give us a call! No Waiting! We know your time is valuable & we are committed to getting you back on the road as soon as possible. Worried About Passing Your CDL Physical Exam? Dr. Knoernschild knows how important it is that you continue your livelihood as a commercial driver. With his extensive knowledge of the DOT Physical Exam medical guidelines, Dr. Knoernschild will steer you through the DOT Physical Exam requirements so you can Keep on Truckin’. Not sure if your medical condition will affect your driving status? Just give us a call before your appointment. We are here to answer your questions. Whether you are just traveling thru Millstadt or one of our local drivers, we are here for you! Looking for a DOT Physical Exam or CDL Physical Exam in Millstadt, IL? You’ve come to the right place! We are located on Highway 158 between Belleville and Columbia Illinois. 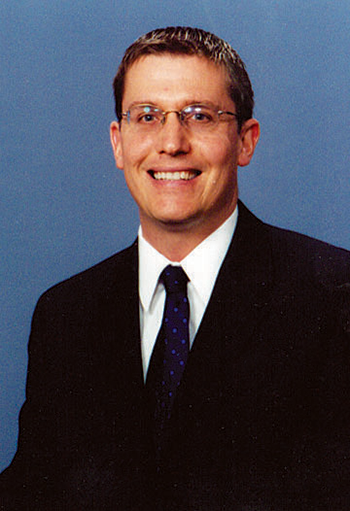 Dr. Steve Knoernschild is a Certified Medical Examiner in the National Registry. Dr. Knoernschild has been a family chiropractor for 15 years. His practice is located in Millstadt, Illinois. He was a 2000 graduate of Logan College of Chiropractic.